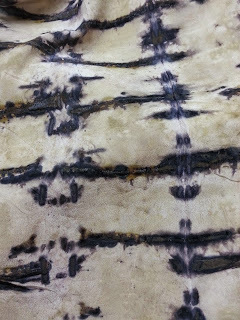 I bundled my acorn dyed silk with maple and nails. I steamed it for about a half hour and let it set for several days. Last Scarf of the Day!